All goods imported into Australia must be cleared by the Australian Customs Service (Customs). If you decide to import goods into Australia, then Customs can provide you with information on duties and import regulations, such as import clearance requirements, prohibited goods and import permits. 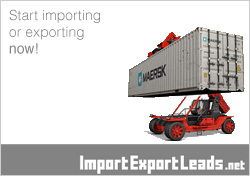 Depending on the type and value of the goods or products you import, there are costs involved. These may include clearance fees, customs duty, and GST and other taxes. Some goods are prohibited or have restrictions so you need to check with the Australian Customs Service before you import them. The Customs Information and Support Centre (CISC) can provide general information about Customs procedures in relation to prohibited and restricted goods. Note: Importing Chemicals: All importers and manufacturers of industrial chemicals for commercial purposes must register with the National Industrial Chemicals Notification and Assessment Scheme (NICNAS). Registration involves an annual registration fee. Before you import goods, you need to find out if your goods fall under quarantine regulations. If you import plant, animal, mineral or human products, the Australian Quarantine & Inspection Service (AQIS) will need to inspect and/or treat your products for pests or diseases. Find out about quarantine conditions by searching ICON, the AQIS import conditions database. ICON has information about Australian import conditions for more than 20,000 foreign plant, animal, mineral and human commodities. If your goods fall under quarantine regulations you need to apply for an import permit. Before you consider importing a product from overseas, check the Industry Capability Network (ICN) to find a competitive local supplier in Australia or New Zealand. Customs administers a number of concession schemes that allow you to import goods for free, at a concessional rate or on a deferred duty payment. If you are an individual or organisation importing goods intended for re-export or to be used as inputs to exports, then the AusIndustry Tradex scheme can provide you with assistance via an up-front exemption from Customs duty and GST. To find out more about this scheme contact the AusIndustry Hotline on 13 28 46. Labels are used by businesses to convey information about products, to promote features of products that may be attractive to the consumer, or to describe contents that the consumer can't see. The Trade Practices Act (TPA) contains a general prohibition against conduct that misleads or deceives or is likely to mislead or deceive. It also contains specific prohibitions against making certain false and misleading representations, including on labels. * labels required by Customs for some imported products under the Commerce (Trade Descriptions) Act. The TPA prohibits businesses from making false or misleading claims concerning the place of origin of goods. The Australian Competition and Consumer Commission (ACCC) country of origin webpage tells you how to go about obtaining your country of origin labelling and the regulations governing the Australian Made logo.